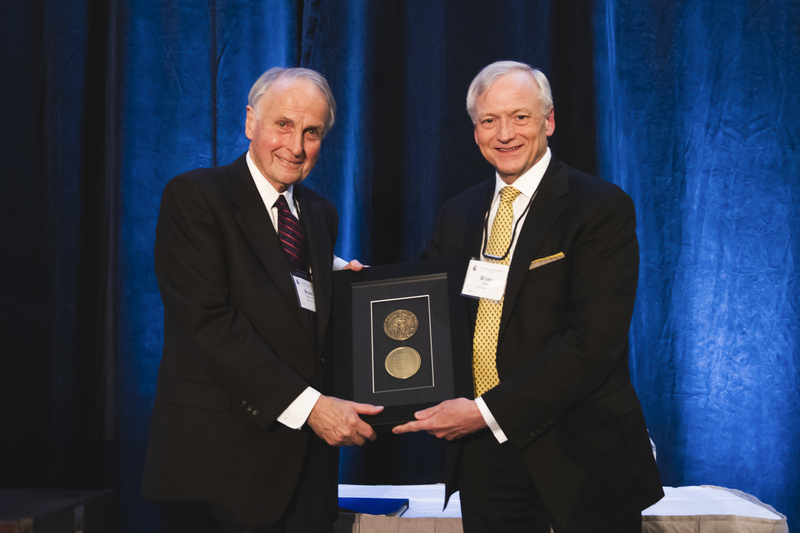 The Advocates’ Society Medal is the highest expression of esteem that the Society can convey to one of its members. It is intended to honour those who have demonstrated clearly their pre-eminence as counsel and who are acknowledged unequivocally as leaders of the bar, who have been dedicated and active members of The Advocates' Society, and who have made a significant contribution to the profession of law and to the well-being of the community at large. The Advocates' Society is proud to announce that Bryan Finlay, Q.C. of WeirFoulds LLP will be honoured with The Advocates' Society Medal. The Medal was presented to Mr. Finlay at a special dinner on February 12, 2019. 1974 - Joseph Sedgwick, Q.C. 1975 - Arthur E. Maloney, Q.C. 1976 - John J. Robinette, Q.C. 1977 - Isadore Levinter, Q.C. 1980 - Walter B. Williston, Q.C. 1983 - Brendan O'Brien, Q.C. 1987 - The Honourable John D. Arnup, Q.C. 1988 - The Honourable G.Arthur Martin, Q.C. 1990 - Charles F. McKeon, Q.C. 1995 - John P. Nelligan, Q.C. 1996 - Earl A. Cherniak, Q.C. 1999 - David W. Scott, Q.C. 1999 - Kenneth E. Howie, Q.C. 2003 - C. Scott Ritchie, Q.C. 2006 - Austin M. Cooper, Q.C. 2008 - Kristopher H. Knutsen, Q.C. 2009 - Edward L. Greenspan, Q.C. 2010 - Ronald G. Slaght, Q.C. 2016 - James C. Simmons, Q.C.